There are times when the main event of the PPV following a WrestleMania eclipses the actual main event of WrestleMania. This is definitely the case here as a classic was delivered on this fateful Sunday night in April 2000. The Rock and Triple H were the biggest face and heel respectively in wrestling . With Austin on the sideline (more on him later), The Rock took on the moniker of face of WWE. HHH had taken on wrestling’s greatest heel role with Undertaker on the injured list. At WrestleMania, these two along with Big Show and Mick Foley competed in the most overbooked WrestleMania main event in history (the focus was on the McMahon family drama). Each McMahon accompanied a competitor to the ring (HHH by his wife Stephanie, Big Show by Shane, Foley by Linda and Rock by the chairman Vince), but the real story was HHH and Vince having beef due to his daughter married to The Game. While Rock won the Rumble and then Bug Show beat Rock to get into the match, it was just a huge mess. Long story short, Vince turned on the Rock (we’ve seen this movie before) and aligned himself with Stephanie and HHH which in turn wrecked havoc in WWE (an overturned Jericho title win and a fired Earl Hebner). Seeking revenge, Rock attacked the McMahon-Helmsley faction for weeks on end until finally earning a shot at the title. Vince was going to make Rock’s title match pure hell by adding Shane as the guest ref and Stephanie and himself in HHH's corner. Linda McMahon decided Rock needed help and she enlisted Stone Cold to be in Rock’s corner. Stone Cold would make his mark before the match even took place by destroying the DX express. All of these twists and turns would lead to this classic. The Rock and Triple H have always had excellent chemistry, but this was absolutely their best match together. Rock’s hard hitting style has always meshed with HHH’s ring savvy. Shane trying to fast count The Rock and cheat for his brother in law was an excellent use of storytelling. McMahon didn't interfere a whole lot during the infancy of the match (which was a good idea), but he made his mark with a few cheap shots here and there. Triple H and Shane would suffer a double Rock Bottom thru the table which then sparked Patterson and Brisco to come aid McMahon in achieving the goal of having Rock leave without the title. Then the glass would break and wrestling's most popular star came out and dismantled everyone with a chair. Linda would then come out and give her daughter Stephanie a recipe for the slap she received weeks prior. 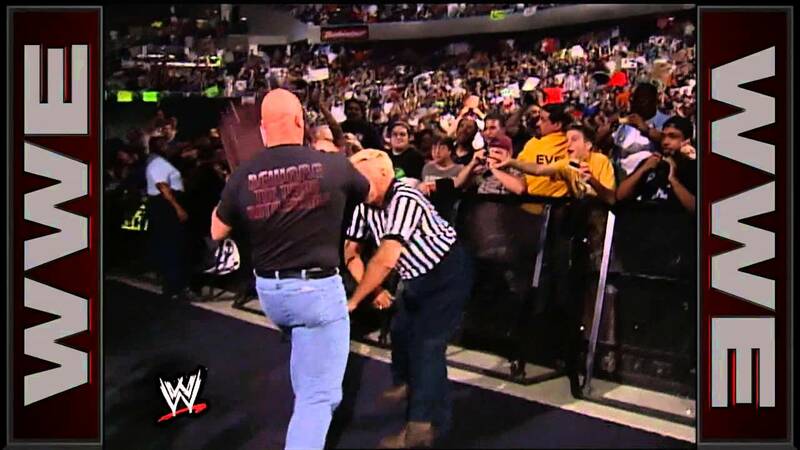 Hebner would then come in and become the replacement official (much to the ire of HHH) and count HHH’s shoulders down for the 3. What happened after the match was another bit of storytelling with Austin (a well known rival of Rock) and Rock sharing a beer and toasting the title. This was an excellent match not only due to the in ring work, but the way WWE managed to weave several stories into one match. This formula would be a blueprint to many matches in this future. 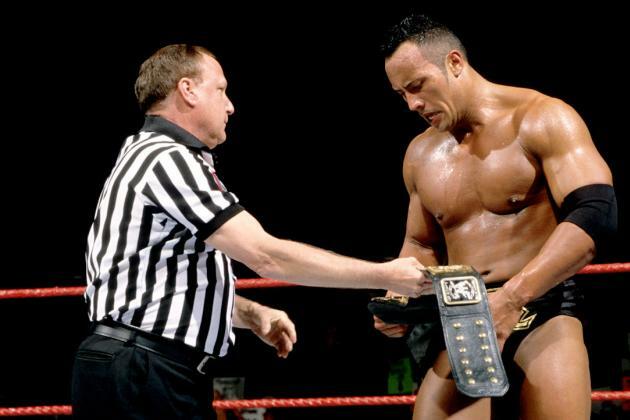 This was The Rock’s only win in the history of the Backlash event. He has suffered defeat from Austin the year prior and Goldberg 3 years later. This match was everything you could want in a title match. Drama unfolding and an appearance by Steve Austin. While HHH and Rock have put on classics before, this was their best from a storytelling perspective. Two guys in their prime slugging it out without too much (physical) interference from McMahon and company. It also helps that JR and King sold this match on commentary.